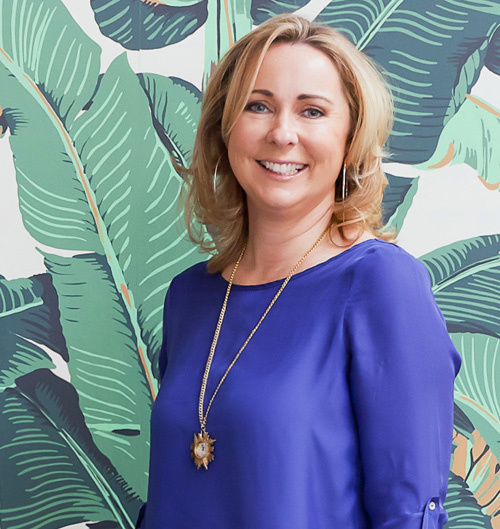 Kellie Murray opened Passionate About Design (PAD) in Sydney's Waterloo in late 2011, and it's been a smash hit ever since, featuring in magazines including Vogue Living. Why all the fuss? It's the expert curation - Kellie mixes old and new so well, and always finds just the right fabric to reupholster old pieces. Her beautifully layered showroom is well worth a browse if you're in the area - and she also offers an interior design service and occasional workshops. I love to mix up our dining chairs – the faux bamboo in light and dark are my favourites. Great with a black dining table and an unexpected burst of colour in the artwork. 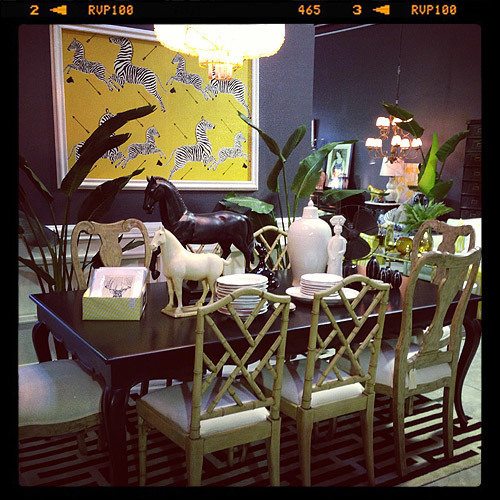 Here we have used a vintage wallpaper in bright yellow with a zebra print, framed as art. 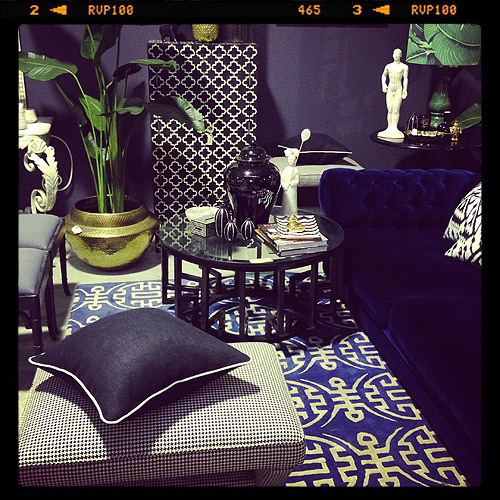 This Prussian blue velvet sofa is my favourite sofa in the store – it combines style, great colour, amazing shape and is ultra comfortable to boot. I designed the rug when we first opened the store and am so glad it is still with us – it’s amazingly versatile and sits beautifully with many of our sofas. I’m also loving the coffee table and the bone and resin cabinet gives a lovely energy to the space. This stunning wallpaper is my all time favourite – it’s called Martinique and was first introduced in the Beverley Hills Hotel in LA. I have used it at home in my office, which sits inside a built-in cupboard. I had special door hinges fitted at 180 degrees and Martinique surrounds and inspires me as I work. 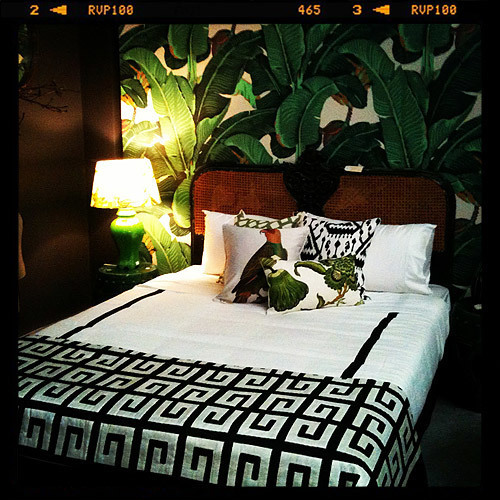 This image also features a vintage rattan and timber bedhead, add the Greek key pure silk bedcovering and I am in heaven. Of course you must add cushions. I have to admit to a fetish here - at home there are more than 50 scatter cushions at last count! 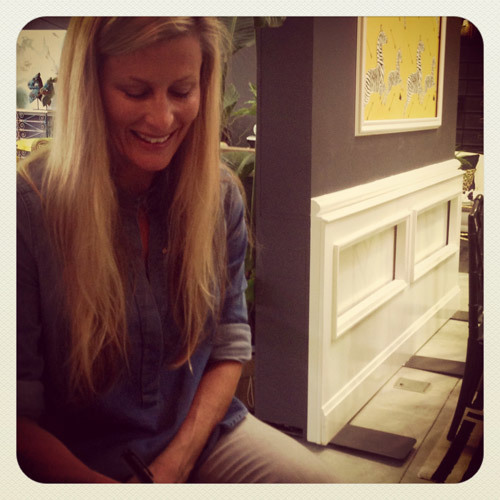 A visit from the very talented Heidi Moore Gill is the highlight of my day today. We are collaborating on some very special artworks created just for PAD. Heidi paints in watercolour and her images are just divine – think high fashion with a twist. My best design ideas often come when I am reading fabulous design books which I source on Amazon. 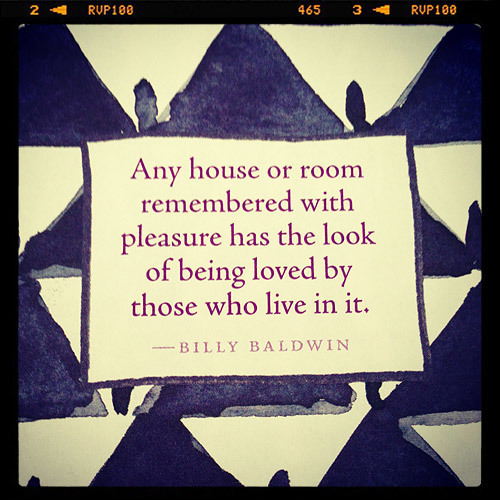 This quote is from ‘The Perfectly Imperfect Home’ by Deborah Needleman and I love the sentiment. I am very inspired by U.S. design – the way American designers layer a room, add meaningful pieces, combining styles, textures, colours and patterns. This kind of style is the bomb. This is my current collection on my coffee table at home. 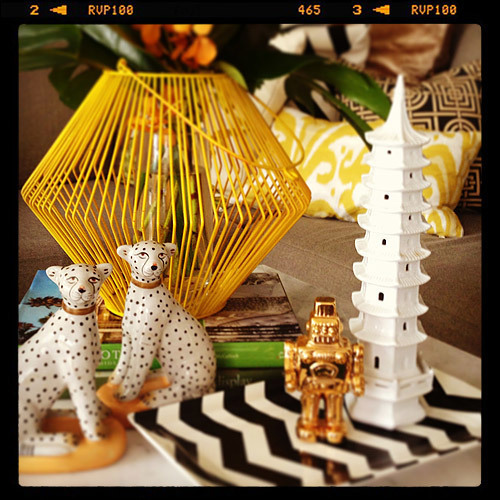 I painted the hurricane lamp yellow (bit of a love affair going on with yellow) and repurposed as a vase, added the leopards which I adore and of course a touch of chinoiserie with the white ceramic pagoda. I am also mad for gold accessories, thus the gold robot (which is also for my boys) and the chevron plate adds punch – must add a bit of black and white. 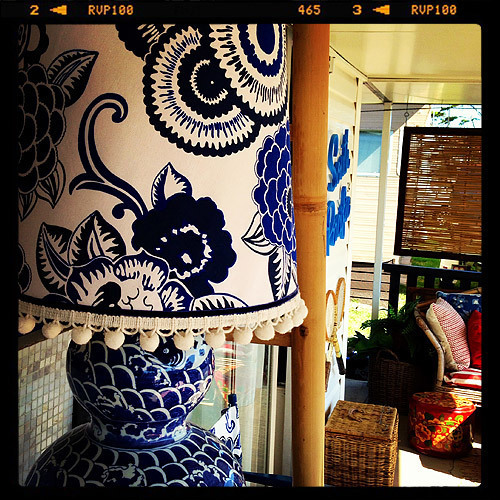 My appreciation of vintage fashion has been a natural follow on of my love of vintage furniture. 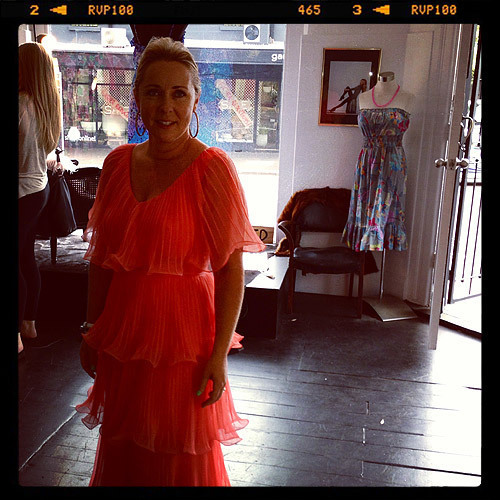 Here I found the most amazing coral evening gown and just had to have it – not sure where I'm going to wear it yet! 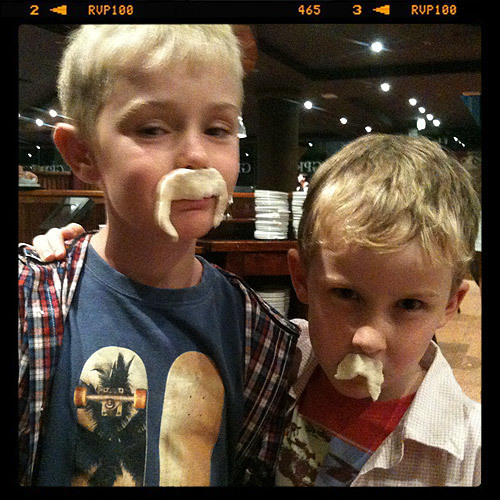 My boys - it seems just yesterday that my oldest started kindergarten and he is now in his last year at primary school. It’s a real balancing act running the store, designing, buying, merchandising and keeping it real at home – I also squeeze in canteen duty and after school activities. It can get crazy but I know I am not alone and that lots of women face the same challenges. I just have to look at their faces to know it is all worth it – they are such beautiful little souls and I am proud of them every day. I am a true believer in bringing the outdoors in and what better way than bringing plants into your interior. 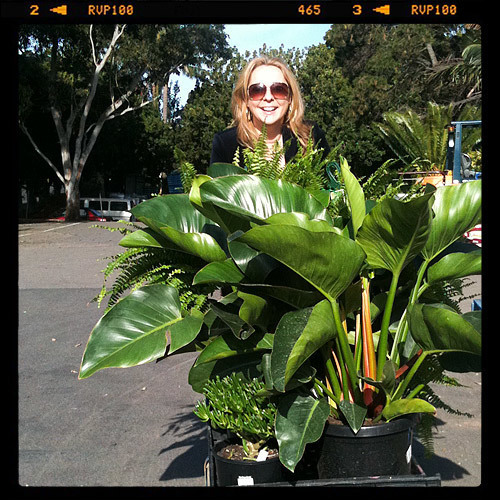 Here I am buying a collection of plants for the store – I love being surrounded by greenery – plants give a space such life and interest and vibrancy. You can mix the real thing with good fakes too – silk orchids are an example and fishbone ferns are a favourite. Finishing off the week with a couple of days at our little caravan on the south coast of Sydney – a magical place called Currarong. It’s here we get to chill, wind down after a hectic few weeks and reconnect as a family. I must admit the caravan is beyond ‘curated’ and my husband has warned it won’t hold much more. We are lucky to have friends close by - the kids explore, swim and generally hang out – and the grown-ups get to settle in and enjoy champagne all night long!